I thought this year I would start to keep a monthly record of all the books I read and review. I find them quite interesting to look back on. I will attach the reviews to the ones that have already appeared on the blog. I have also put the Goodreads star rating I gave them next to each book. I am now going to put my big girl pants on and make a decision about my top five favourite books for the month of January. These will be picked from the books marked as 5 stars. 1) The Apothecary's Daughter by Charlotte Betts - truly loved this book! I still can't stop thinking about it. Best adult historical fiction I have read in a while. 2) Watch Over Me by Daniella Sacerdoti - this can only be described as 'chocolate for the soul.' For a debut author this book really plays with your emotions. 3) Witch In Winter by Ruth Warburton - if I could write a witch book, then this is the one I would want to write. 4) Opal Moonbaby - because it is full of gorgeousness and really took me back to my childhood. 5) Hallowed by Cynthia Hand - this is my favourite angel series ever. Special mentions to James Dawson and Edward Hogan for creating original YA books on their debut into the YA genre. I am excited by what I have read by them and look forward to their future books. That was hard to write, because I truly enjoyed all the books that I read. I know how much love and attention they are given. As well how much blood and sweat it takes for these books to be produced. I loved that Luisa's book made me laugh. I loved that both Celia Rees and Matt Dickinson actuallysome sit down and think about life. I loved that Amanda Hocking is rocking the publishing world one book at a time. And I loved that Alyxandra Harvey just rocks at whatever subject she writes about. Looking at the blog I thought I would let you know about the most popular posts this month too in order of popularity. Interesting to see what you guys like to read and the author guest post are obviously very popular. Well February is now here and I thought I would give you a quick glimpse of a few of the books I am looking forward to reading this month. You've read loads more than me, I think I barely managed to fit in 5 books throughout Jan.
oh my, 18 books read is amazing! Happy reading :) The cover on The Storyteller is beautiful. Wow! You read a lot in January. I really need to get back in my reading groove but even then I wouldn't be able to fit in 18. I love these updates and I was really good about doing them on my blog but then stopped. I'm going to start again this year and just for my own benefit do last year as well. 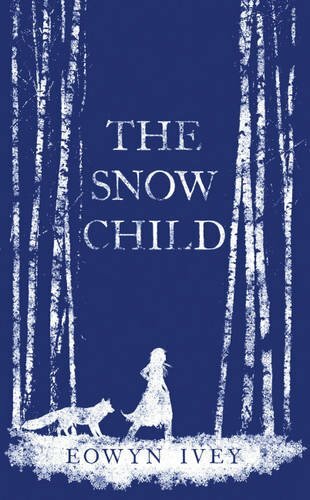 I can't wait to read The Snow Child! Oh I really like this type of post! Very interesting to see which articles are the most popular and your most anticipated books for Feb! Really interesting to see which posts are most popular! You read SO many books this month...literally twice what I read!! But yeah I love wrap-up posts, I've decided to do them myself too. It looks like this will be a month with lots of fabulous reads for you :) Here in Norway The Snow Child has received a LOT of praise, I hope it will be to your liking. Looks like January was a great reading month for you. This is awesome! Please continue this each month! I too am overwhelmed at the number of books you read a month. Good for you! I'm so excited to start on some of these. You always have excellent taste. Thanks again for sharing with us!